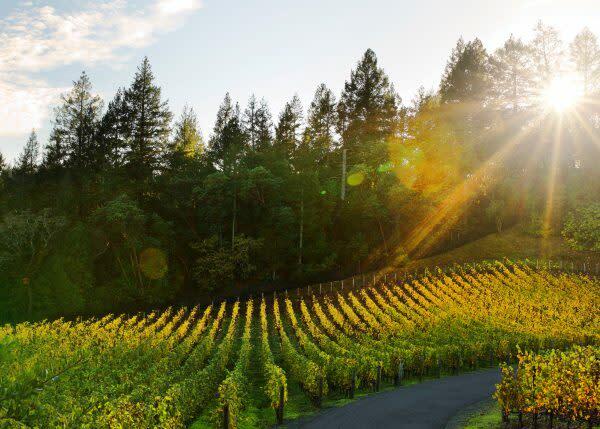 We’re kicking off Cabernet Season in style with some trip tips from Emma K. Morris. 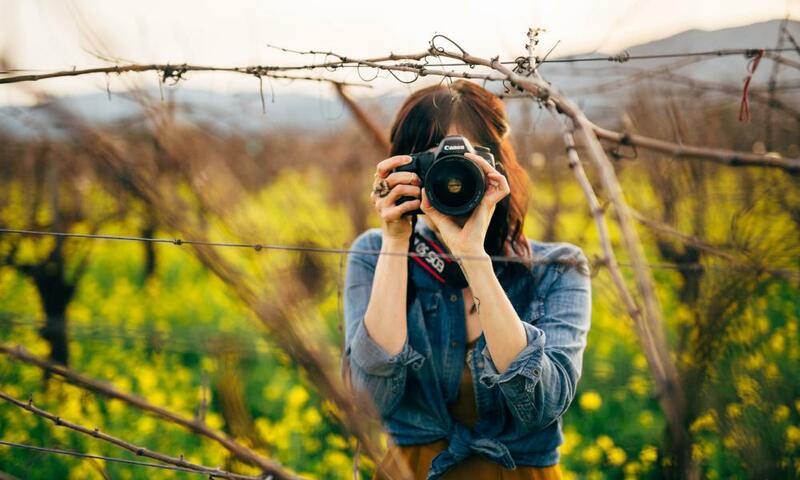 Emma is an in-the-know local making a name for herself as a freelance photographer, creative director, and brand consultant in the Napa Valley and beyond. 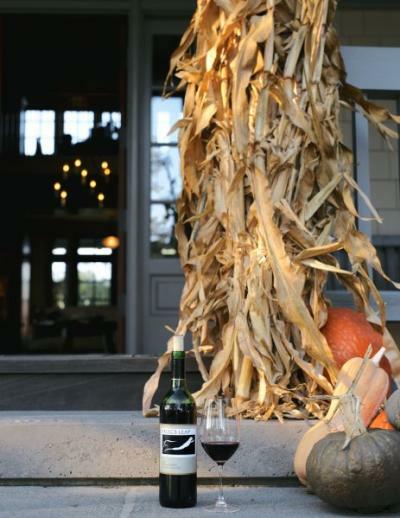 Here are her favorite things to experience — both new must-sees and established local hotspots — during our gorgeous late fall season. 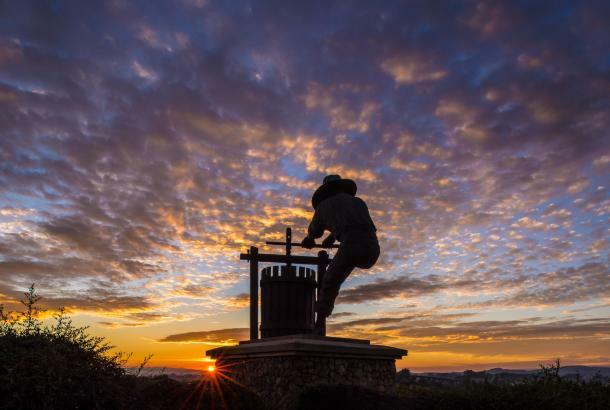 In addition to wineries, scenic spots, and restaurants, she also highlighted a few incredibly progressive small businesses and arts & cultural happenings. Start in the heart of downtown Napa at Oxbow Public Market, where I often begin my day. Grab the best mocha in town from Ritual coffee, and sip while you browse. 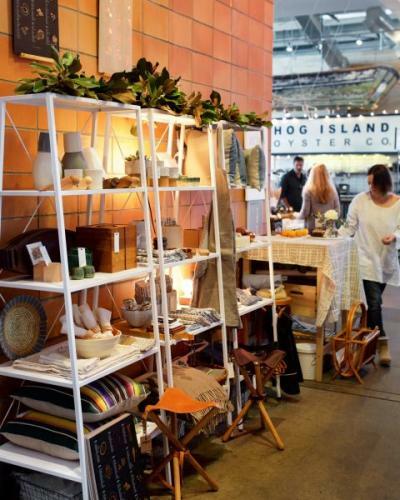 Just down the row of vendors is another favorite, Hudson Greens & Goods — I swear by their green juice and avocado toast. Oh, and did I mention there’s now a Napa Bookmine the Oxbow in addition to their Pearl St. location?! Dreams do come true. 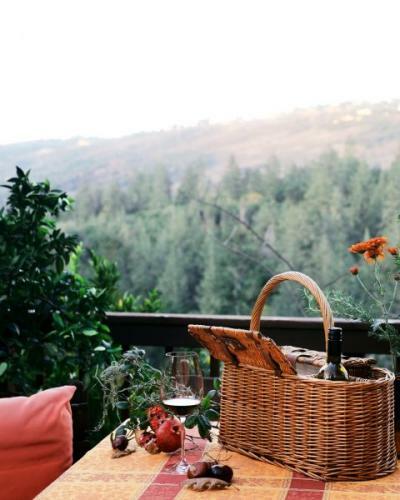 These gorgeous finds, friendly faces, and delicious treats are guaranteed to start your day of Wine Country adventures off right! 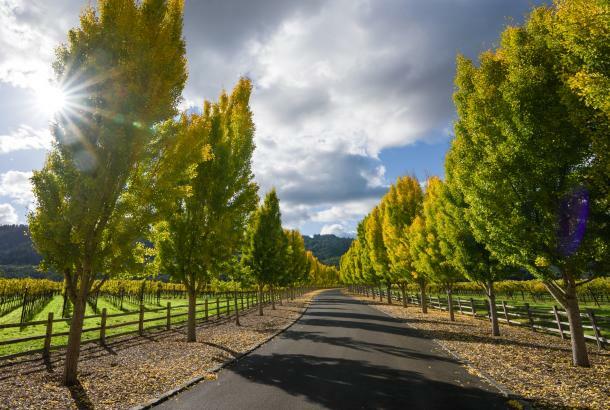 The fall colors throughout the valley peak during November and early December — depending on factors such as elevation, rain, and harvest date, some vineyards change colors and drop leaves faster than others. If you can manage a trip in the next few weeks, you’re sure to see some gorgeous scenes…LIKE THIS! Nestled in a canyon all its own, Tuck Beckstoffer Estate calls the Eastern hills of St. Helena home. Driven by a legacy of cultivating some of the world’s finest vineyards, you’d better believe the wines are something special! 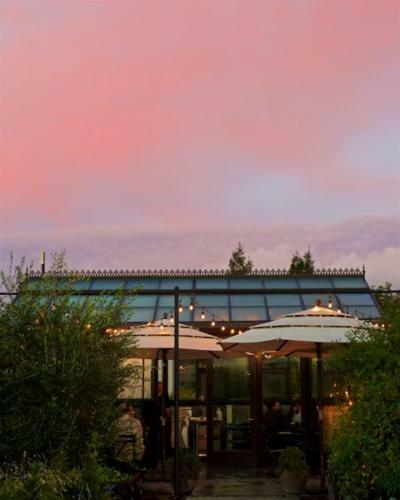 You’ll feel right at home as Tuck & Boo Beckstoffer welcome friends near and far to enjoy their breathtaking vineyard views and truly delicious wines. The Napa Valley is full of world-class restaurants, but I really gravitate toward out of ordinary and conceptual dining. 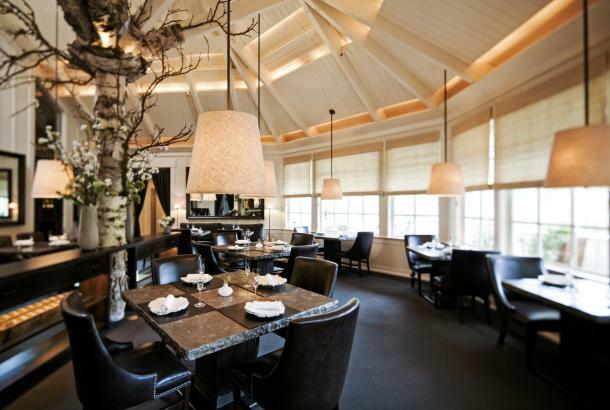 So when much-loved local Chef Curtis Di Fede decided to open Miminashi in downtown Napa, I was thrilled! After spending a few years traveling the world, he fell in love with Izakaya aka informal Japanese gastropubs. While adhering to traditional offerings like ramen, okonomiyaki, and fried rice, he also goes out of his way to accommodate those with dietary restrictions. This is so refreshing to me as a longtime vegetarian! I can’t get enough of this place for a million reasons, but let’s just leave it at SOFT CREAM: 3-4 amazing flavors that rotate every few days, along with a handful of inventive sauces (like miso caramel!) and toppings (like cookie crumble & sesame honeycomb candy!) to boot. With flavors like Chai Spice maybe I should just park a folding chair and live in front of their walk-up soft cream window. Speaking of the soft cream window, you can now grab breakfast there from another local small business Contimo Provisions until 10:30 am before the restaurant itself opens for lunch! There are more than 450 wineries in the Napa Valley and Frog’s Leap Winery has been my absolute favorite since my first visit, prior to moving here. Their cozy wrap-around porch, gorgeous gardens & chickens, and friendly staff make it feel like a home away from home. Much of their organically grown fruit is located on the property, and 100% of their operation has been dry-farmed since they began in 1981. This allows their beautiful wines to truly reflect their terroir. This place means a lot to me and represents so much of what real Napa is all about! When you visit, be sure to give Frog’s Leap winery dog, Abbie, a good belly scratch for me! Sometimes I get fancy. 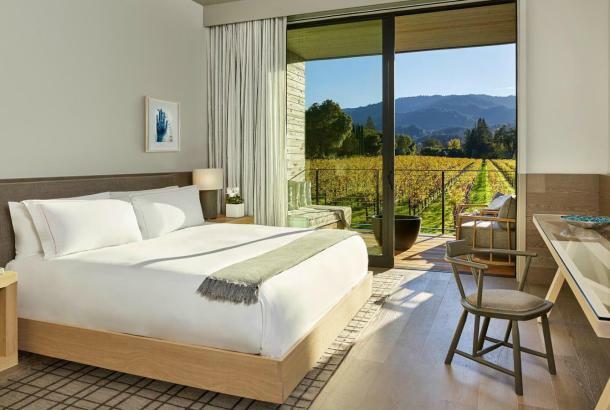 Solage Calistoga is located “up-valley” (as we locals call it) in Calistoga, and it’s most certainly where the magic’s at for a relaxing spa day/poolside lunch experience. Off-season is the perfect time for an ultra laid-back, peaceful vibe. In fact, I’m working poolside as I type! Not a bad situation. Also on property is Michelin-starred Solbar which happens to serve a fabulous Chopped Cabbage & Chicken Salad that veggies can enjoy with seared tofu instead! Is there a better way to kick off the weekend than a truly wholesome plate of breakfast food?! A Napa staple since 1985, Alexis Baking Company aka “ABC” began as a wholesale bakery supplying restaurants and specialty food purveyors. 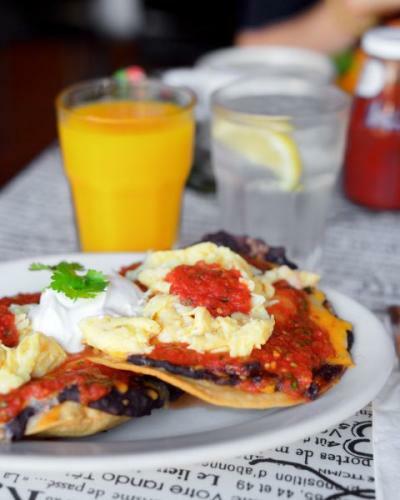 It quickly grew into a vibrant full-service café that happens to serve up my favorite breakfast in the valley (huevos rancheros!). Frank Sinatra or Ella Fitzgerald are usually playing, and the vibe somehow remains chill even when there’s a line out the door…which is most of the time. It’s worth it. Trust me! More killer breakfasts in the valley: Southside Napa, Model Bakery, Archetype Napa, and Redd Wood. A can&apos;t miss pink and white striped building, Buttercream Bakery is a local staple. 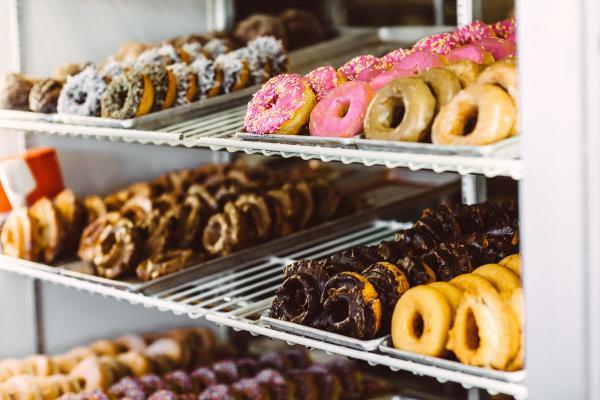 Whether it&apos;s biscuits and country gravy, a chocolate old-fashioned donut or a hearty grilled cheese you&apos;re after, Buttercream&apos;s offerings will leave you satisfied. Be sure to get there early, especially on weekends, as this place is bustling with locals eager to get their sugar fix. 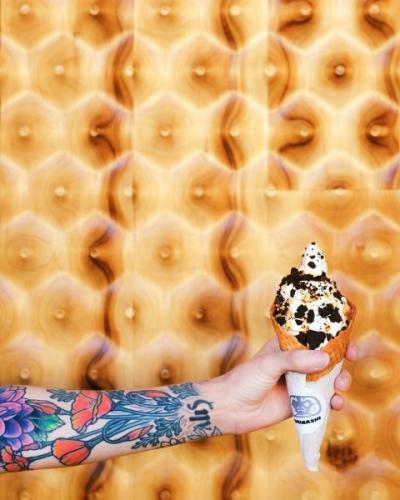 Pro Tip: The pink wall makes for a great background for your next Instagram shot. 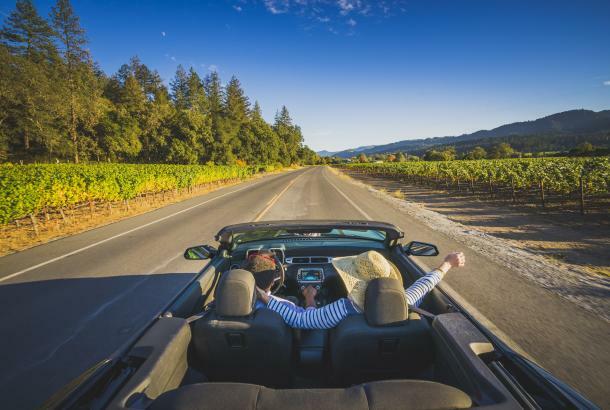 Throughout this post I wanted to highlight a few things that are highly cherished by Napa Valley locals but aren’t often thought of as destinations for visitors – here’s one more. 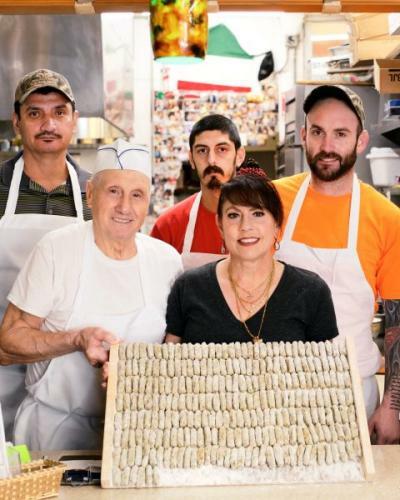 Clemente’s Italian Take-Out is a Napa legend thanks to their invention of the “malfatti” — a dough of cheese + herbed ravioli filling that’s rolled in flour, boiled, then doused in red sauce. Italian slang for “mistake,” once you eat malfatti, you’ll dream about it until the next time you have it! Still 100% owned and operated by the amazing Cittoni family, Clemente’s is located inside Val’s Liquor Store in downtown Napa on Third St., and is an institution in itself. At 78 years old, Clemente himself is still in the kitchen cooking up malfatti every day alongside four generations including great-grandsons! A true Napa success story. Well, it’s been a blast showing you around the Napa Valley through my lens for the past four days — thanks for tagging along! 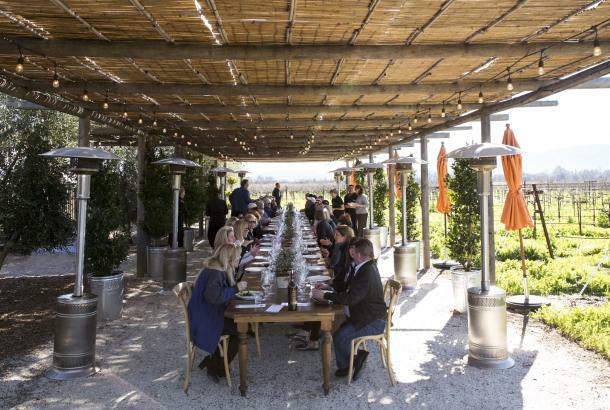 My last recommendation is St. Clair Brown Winery, a sweet little greenhouse tasting room serving up fancy cheese plates, rosemary olives, and creamy hummus — all made in-house using ingredients from their garden — to pair with a handful of seasonal wines. It’s very much a neighborhood hotspot, great for happy hour, is dog-friendly, and almost always has a sunset view during Cabernet Season. Whether you’re planning a visit, or are a local, hope to see you around town! To follow along on my everyday adventures in the Napa Valley and beyond, feel free to follow me over at @emmakmorris.